In the summer of 2011, here in New York City, an eight year old boy was murdered. He got lost walking the few blocks home from day camp and was killed by a stranger. It is a chilling story. Even more so for parents of young children. When I read about it, my first response was, “I have to get my son away from the city. This place is not safe. We have to go somewhere SAFE.” Close on the heels of that thought, came the question of how to get my boy to NOT TRUST STRANGERS. At that time, my son was six years old. He was a sweet kid who talked to people. He was full of energy. People were attracted to him. The questions swarmed over me. What if some guy takes my sweet child away? Even as I write this, the fears are palpable. I’m feeling the grief of possible loss. Where is he right now? Is he safe at his school? The world is an insane place. A few days after that, my son looked down at a newspaper laying on the sidewalk. It said, “Missing Brooklyn Boy Found Murdered” and it had a picture of the boy staring up at us. Gus, who could read, asked me what it meant. I haltingly explained that the boy was killed by someone he did not know. I used the most simple language and moved through the explanation quickly and in a very neutral tone. But I did not lie to him. I told him that sometimes, strangers can be dangerous. In a quiet voice, He said, “This is bad.” And we walked on toward the park. To this day I don’t know if it was the right decision to be that honest, standing there, looking down at that newspaper. I felt the weight on the world settle on me and on my six year old son. Its one of those moments when telling simplified stories or outright lies seems like a much better idea. Moreover, as a parent, you suddenly want a simpler world. Law and order. Control. You would happily accept whatever role you are assigned in it. You want to trade chaos and complexity for safety. “Just keep us safe,” you say to yourself. I was surprised, because I had not heard the song in our house for a month or more. It was one of hundreds of songs on my iPod and it was also in rotation on my wife, Saliha’s, favorite radio station. But it had been a while since he had heard it. 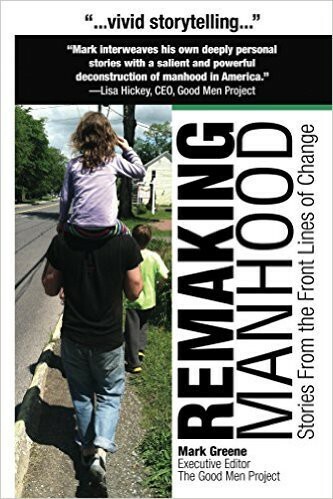 While my former wife continued to love and care for our son at her home, I wondered what I would be able to do to help when he came to me. A day or so later, Gus was with me and Saliha. He calls her his “bonus mom.” He told her he was very sad. He said, “I’ve been sad for three days and I don’t want to be sad anymore.” Saliha, who is a couple and family therapist, asked him what was making him sad. He told us he was thinking about death. He asked me about dying and I responded that he was very young and that he would live a long long time. I also said something about how death was natural and that it was part of life but that no one in his family would die for a long long time. “That’s just what Mama said,” he replied, not at all happy with my answers. He put his hands over his ears, laid on his side and shut his eyes. He cried about Olive, our cat who had died a couple of years before. I thought to myself, “I shouldn’t have answered his questions about the boy who had been murdered.” I got a chill in my gut, the feeling that I had done something irreversible. That at age six, he was too young to hear the truth of what I had told him a few days before. I should have just lied to him. The conversation continued and he repeated that he didn’t want to be sad anymore and that he couldn’t stop thinking about it. The boy opened his eyes, and looked at Saliha. He closed his eyes again. “Okay,” he said. Our son began to raise his voice. “I can’t stop thinking about it because you keep talking about it!” he yelled equal parts exasperated and amused. “Think about its red color,” said Saliha. “Okay,” said Saliha, “think about it’s green color. Think about how it tastes. Think about how crunchy and sweet it is.” He imagined the apple. At some point later, Saliha told me that thinking about an emotion, like sadness, over and over can create a grove or a worn path that the mind can get into the habit of traveling. Saliha had another idea she brought into the conversation. She posed the following question: why is sadness necessarily a bad thing? We can hold sadness just like we hold other emotions. It’s part of life. Sadness can even be good. My sense of her intent was this: that by de-stigmatizing sadness, by welcoming it instead of seeking to avoid it, we reduce its power and help it find its proper place in the greater realm of experiences and feelings. He took the oranges and apples idea and within a few moments, he had reassigned ice cream as our happiness thought. We talked about that would be examples of “ice cream thoughts.” We talked a bit more about choosing what thoughts we might want to grow in order to not feel sad. Bedtime came, I read him some books and he went to sleep. The next morning, he woke and called to me that he had had a bad dream. “I dreamed that Mommy went away for two years,” he told me. Then, something magical happened. It’s been a while since that day and I’m sure I’m not constructing it accurately, but I found a page in a journal that I had flipped open that morning and started making notes in as he spoke to me. The notes are limited but some things are very clear. In preparation for sharing what he said, let me first explain that my son and I are both artists. We draw pictures. We often draw them as a way to order our thoughts about the world or to construct stories that help us experience it. For example, on his first day of kindergarten, (a day of trepidation for me not him), he brought me home a drawing of his classroom that showed all the tables and chairs, the kids and the teacher, the bookshelves and the windows. He drew the room as a way of taking it in. By drawing it, he took ownership of it. He became more familiar with it. In the moment he conceptualized the Sadness Ghost, he activated his own solution for processing what he was feeling. In that moment, he ceased to be a sad person and become instead, a person who was being visited by sadness. This distinction is crucial in processing powerful, sometimes overwhelming emotions like rage, fear or grief. 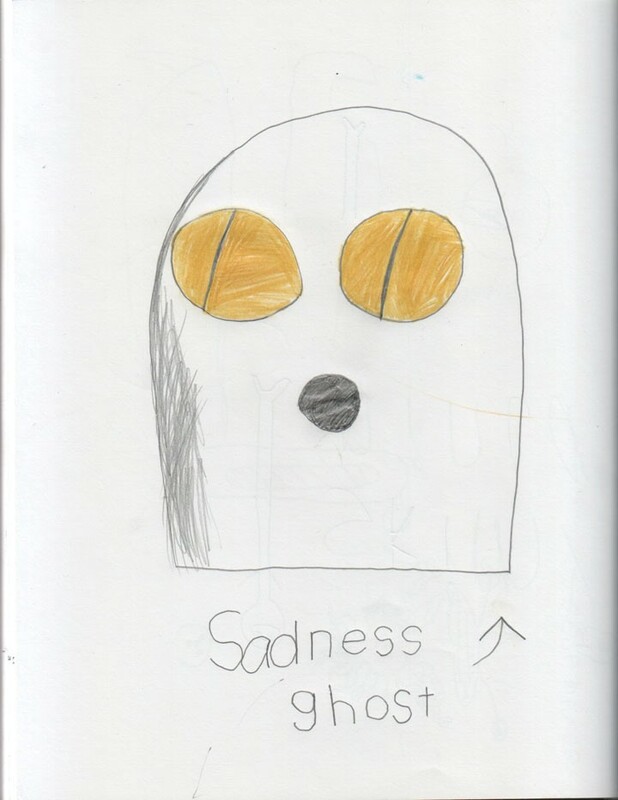 Gus and I created our story for the Sadness Ghost. We talked about being “visited by sadness.” We talked about how sadness was not always a bad thing. That we all feel sad sometimes. And now, I’ll quote from my notes. This little boy, just six years old, played the role of himself speaking to the Sadness Ghost. “Okay, now go,” he said gently, gesturing for the ghost to go, indicating that we each have to know when to tell sadness to move on. What is remarkable here is how he was able to accept sadness into himself in the form of the Sadness Ghost and then care for it. He became the caretaker of his own sadness; he became the safe place where his sadness could come to be comforted. He no longer defined himself as sad. He was being visited by sadness. A very different way to frame the experience. The final comment in the notes is, “we need sadness just like we need happiness.” I suspect that was me trying to tie it all up with a bow. In the days after that, my son’s sadness went away. He went back to collecting things with a vengeance. He moved on to his ice cream thoughts. And although sadness will visit him many times in his life, I hope his capacity to hold it will remain as vital and powerful as it was that morning. To me, his solution was a manifestation of our natural human capacity to manage chaos. When impacted by destructive forms of change, we can choose to set our whole singular selves in opposition to it, or we can deploy the capacities in ourselves, the versions of ourselves that can hold the challenge and even welcome it. We can let our most able self step forward in that moment and dance with the challenge. Don’t give chaos one monolithic target. Don’t make it so easy on chaos. Make chaos work for it’s rewards, and in doing so, grow our own capacity to be flexible in life. Saliha is quick to point out the complex web of conversations that lead up to and away from a story/moment like this. What he and I were talking about while drawing pictures years ago reinforced how these pictures help us hold our ideas about the world. Early on, we all started having purposeful discussions what to do when we feel angry. As part of those conversations, we drew charts on the walls and assigned colors to levels of emotion. My son has had talks with a wide range of people over the years of his life that set the stage for him to view himself as a person who creates things. And so on, and so forth. The Sadness Ghost is not an isolated event, it is the logical extension of a way of being in conversation over time with other human beings. That “web of conversations” is the birthplace of capacity and resiliency. And it’s a place where emotions can take refuge and find safety. I believe that in creating the Sadness Ghost, Gus was resourced by this life long history of conversations in organizing his response. He momentarily placed the sad part of himself in that symbolic cartoon placeholder, and in doing so, made it distinct, so he could see it separate and apart. Then he allowed it back in, while other parts of himself, held and comforted that part of himself. That emotion which was visiting him. His Sadness Ghost. 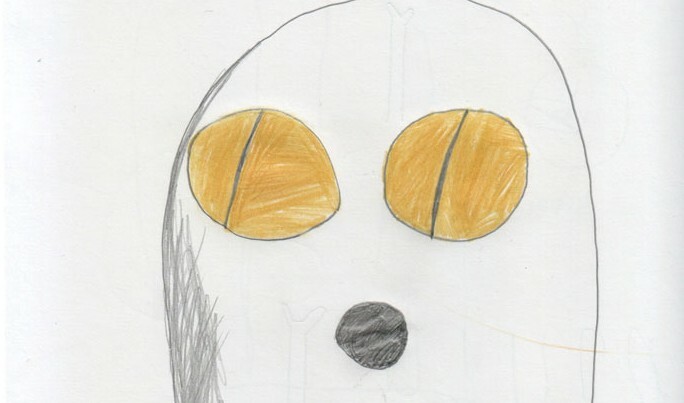 He was able to see his sadness separate from the rest of himself, using the drawing of the Sadness Ghost as a symbolic marker for how to do it. By separating it out, and pushing his care giving-self forward, he engulfed the challenging emotion; the emotion did not engulf him. Psychotherapy Networker Magazine published the Sadness Ghost in it’s January, 2012 issue.